Fizzy and fermented, kombucha is bigger than ever. Once mostly trendy with a health-conscious crowd, this vinegary tonic has moved into the mainstream with grocery stores, corner cafés and farmers’ markets stocking it in bottles and some even on tap. Thought to have originated in Asia more than two centuries ago, kombucha starts as a sugar-sweetened tea that ferments into a snappy bottle of bubbly thanks to a yeast and culture colony (known as a SCOBY) that’s introduced into every batch. 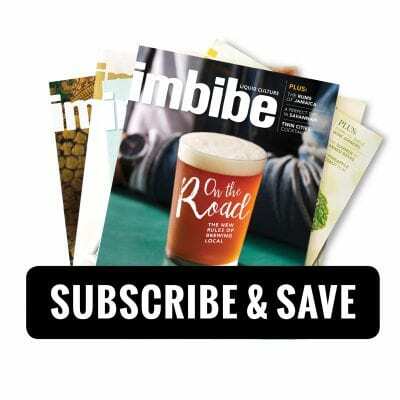 In our July/August 2012 issue we highlight six brands, most with widespread distribution, but with its inherently fresh nature, many regional offerings don’t make it beyond local markets. With that in mind, we rounded up eight more brewers who sell their tonics in more specific corners of the country. Husband and wife team Rachel and Tarek Kanaan tapped into some good vibrations with their organic kombuchas in flavors like pineapple-ginger and cranberry-clementine, and barrel-fermented, bottle-conditioned kombucha beers (though since they don’t de-alcoholize any of their kombuchas they are all technically considered beer). And while you can’t yet purchase their kombuchas online, they recently expanded to a larger facility in hopes of growing distribution beyond their current markets of Michigan and the Bay Area. If you live in the greater Manhattan area and are into funky ferments, chances are you’re already familiar with local kombucha man Eric Childs. 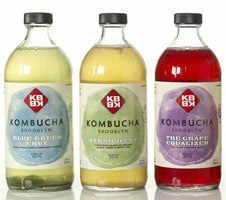 What began in his Williamsburg, Brooklyn, kitchen in 2007 has grown into a booming local kombucha business with a mix of beer bars, co-ops and cafés stocking bottles, kegs and starter kits. And while you can’t buy the bottled brews online, he does sell DIY kits via his website. The duo behind this Madison-based kombucha company keeps production as local as possible using fair-trade teas from Rishi, sugar from a local Madison market and bottles from a company based in Milwaukee. The flavors—including a traditional oolong, lemongrass-ginger and blueberry—are available mostly in the Midwest, though their webstore sells and ships across the country. The Portland, Oregon-based Englund family taps into local kombucha culture with monthly brewing classes, DIY starter kits sold via their website, and stainless steel-fermented bottled and keg offerings brewed with teas ranging from oolong to organic sencha and infused with locally grown flavors like lavender, lemon balm and strawberries. Attorney turned kombucha brewer Rana Chang launched House Kombucha in 2009, and in the few years since has grown her business to extend from California’s Central Coast through the Bay Area and into northern California’s wine country with her 100% kombucha offerings in varieties like Ginger Pearl (green tea, dried ginger, cayenne and sea salt), Sun Blossom (white tea and sweet orange blossoms), and Vanilla Orchid Root (Assam black tea, roasted chicory root and vanilla beans). The first commercial kombucha brewery to launch in the southeast, Buchi finds its home on a 180-acre organic farm nestled in the heart of the Blue Ridge Mountains. Flavors like Air, Water and Fire fuse raw, black tea kombucha with organic apple juice and herbs and spices, such as ginger, Echinacea and cayenne. Distribution reaches throughout the greater southeast, including most Whole Foods stores in the region. Former vegan cookie maker Kimberly Lanski launched Austin-based Buddha’s Brew in 2006 with a kombucha made from a proprietary blend of fair-trade, organic teas mixed with organic fruits and juices. The bottled and kegged results offer approachable flavors like blueberry, ginger and grape (as well as a seasonal peach) that have caught on across Texas and into parts of Louisiana. Taking the locavore movement to the max, Ash Beckham’s Boulder Bucha sources all-organic teas (ranging from black to mate to green) locally and uses farmers’ market ingredients for flavorings whenever possible, meaning the most of the ingredients sit within walking distance of the farmers’ market stand from where they sell. Having launched just this past May, Boulder Bucha has already garnered quite the fan base for kegged kombuchas in creative flavor combos like blueberry cilantro, sage-mint mate, and peach with green tea.